Jenny was featured in Cultured Magazine and in World Red Eye for the Miami “Skybridge” multi-city living and lifestyle event series. 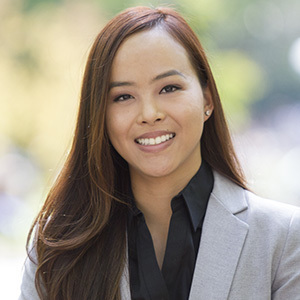 Born in Taiwan, Jenny grew up in the suburbs of Los Angeles, spent some time working abroad in the vibrant city of Beijing and now calls New York City home. She comes from a colorful marketing career working with Fortune 500 clients in various industries like MasterCard and AT&T and has created award-winning experiential campaigns. From intimate VIP artist meet & greets to luxe destination trips for the most affluent of Chinese to large-scale festival activations, Jenny has managed a wide gamut of programs and prides herself in being a genuine listener and service-oriented professional, catering to the intricate needs of her clients and delivering meaningful impact for consumers. Real estate is the perfect culmination of Jenny's marketing and international background, and most importantly, her unwavering dedication to providing customers bespoke experiences and premium service. As we navigate the many stages and transitions of our lives, home means something different to each and every one of us. It is Jenny's mission to help fulfill those unique needs and bring about the greatest happiness and satisfaction to people throughout this process. Jenny is also an avid fitness and healthy lifestyle enthusiast and enjoys exploring new restaurants and events, traveling to Asia and different cities, and all-around spreading good vibes.